Kilo Second Platoon. Camp Fallujah, Iraq. November 2007. 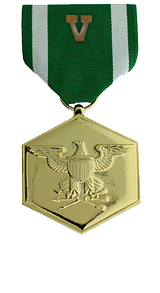 Heroic achievement while serving as 2d Fire Team Leader, 1st Squad, 2d Platoon, Company K, 3d Battalion, 3d Marines, Regimental Combat Team-7, I Marine Expeditionary Force Forward, on 22 May 2006, in support of Operation IRAQI FREEDOM. While conducting a dismounted security patrol, Lance Corporal Kreitzer’s patrol was attacked by an improvised explosive device as they were entering the Forward Operating Base. Upon detonation of the improvised explosive device, Lance Corporal Kreitzer’s squad leader and radio operator were seriously wounded. Without hesitation, Lance Corporal Kreitzer ran to provide medical aid to the casualties. Lance Corporal Kreitzer immediately and accurately assessed the first casualty, his squad leader, and cleared his airway. His quick reaction kept his squad leader alive long enough to be evacuated to a medical facility. Taking command, Lance Corporal Kreitzer directed his fire team to provide security, while he accounted for his team and gear during this chaotic environment. Lance Corporal Kreitzer’s initiative, perseverance, and total dedication to duty reflected credit upon him and were in keeping with the highest traditions of the Marine Corps and the United States Naval Service.